Do you want to create a beautiful and peaceful environment that promotes positivity and wellness to speed up the healing process of your patients? Well, you’ll need Vector Concepts for that! Vector Concepts offers a wide variety of floor coatings as well as coverings to help you achieve your goals. Vector’s wide selection is specifically engineered to give you the right type of patient room flooring. This provides everyone from the patient to the hospital staff a safe environment. It also helps you control any infections that may set in with people who have compromised health by creating a hygienically sound space for healing. And the other great thing about Vector is you can incorporate our commercial flooring systems to any of your existing interior designs by choosing to customize the look and feel of your flooring systems. The health and safety of all patients is considered the highest priority in any hospital or clinic. The same goes for all personnel responsible for keeping the health establishment running. Vector Concepts understands this and has produced a huge selection of polymer floor coatings that provides both, a safe environment and a highly sanitary environment for all patients and hospital or clinic personnel. The health of each patient is critical. Likewise, the safety of personnel is high priority. Vector manufactures a wide array of polymer floor coatings that promotes a sanitary and safe environment for both patients and personnel. In addition to that, you also have the option to mix and match the colors to your needs and tastes. You can essentially customize what we offer to fit your existing theme be it your color scheme or the decors you’ve already set up. The seamless and integral cove base design we offer for patient rooms and handicapped shower rooms are bacteriostatic and inhibit the growth of mildew and fungi that often accumulate in these areas. 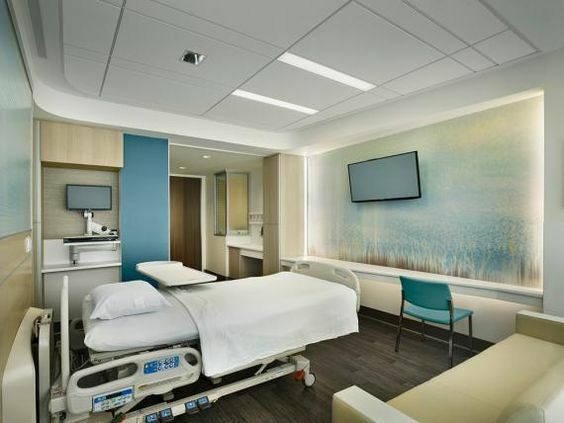 Choosing the right type of floor for your patient rooms is a critical factor in encouraging an environment that provides a positive experience for visitors. At the same time, the flooring system you install can provide a comfortable and stress free environment that helps accelerate the healing process for your patients. Our epoxy flooring systems come fully equipped with Anti-Microbial Protection. This provides 100% protection against pathogenic microorganisms that are often found in huge abundance with traditional flooring systems. Our wide selection of high performance floor coatings provides you with the best solutions that no other type of flooring systems can. Commercial carpeting options are dust magnets. Massive accumulation of dust can lead to bacterial growth. Left unchecked, that can have disastrous effects on all the people within your facility. Luckily, our flooring systems are bacteriostatic and fungistatic. This prevents any of those harmful elements from ever accumulating and growing on the surfaces we provide. Coupled with the antiseptic qualities of our flooring systems, you have a winning combination! And if that’s not enough, our floors are very easy to maintain. Cleaning and sanitation of our flooring systems only require minimal effort leaving you more time to deal with more important aspects of running your facility. Lastly, our flooring systems are water-proof and stain resistant. It can be subjected to all forms of liquids from chemicals, solvents and massive amounts of water and withstand any long term damage. A quick wipe up should deal with these things easily. All of these things make us proud to say that we have the best flooring system in the world today! Another option most people go for is the use of luxury vinyl to cover up their floors. Although aesthetically pleasing, luxury vinyl floors do not afford the same level of safety and durability that Vector’s polymer floor coatings provide. Our healthcare flooring systems are highly customizable. This means you can adjust the level of traction in any specified area to help avoid accidental slipping. We’ve also engineered our flooring systems to be seamless. This means you can expect that our product will last a lifetime with no cracking or curling. And in the aesthetics division, we also provide custom colors and blends. You can choose from a huge palette of colors to fit your needs. Furthermore, we also offer faux stains, if that’s what you’re looking for. All of these things can ensure that you’ll have a truly unique look to your flooring system and there will be no others like it. But, our best advantage over luxury vinyl flooring is the fact that our products are engineered to adhere to the strict requirements set by the healthcare industry! Contact us to learn more about our flooring options for healthcare.